Whether you're a keen cyclist or more of a weekend bike rider, there's a cycling holiday for you. We've got trips to every corner of the globe, from organised cycling trips in Cambodia to self-guided bike trips in Europe. You are welcome to bring your own bike on our Explore cycling trips but you really don’t need to. We include bike hire and provide a bike that is suitable for the terrain and in your size. The Explore Leader can help with any technical problems and there is often a pannier, saddle-bag or handlebar bag to store your things. 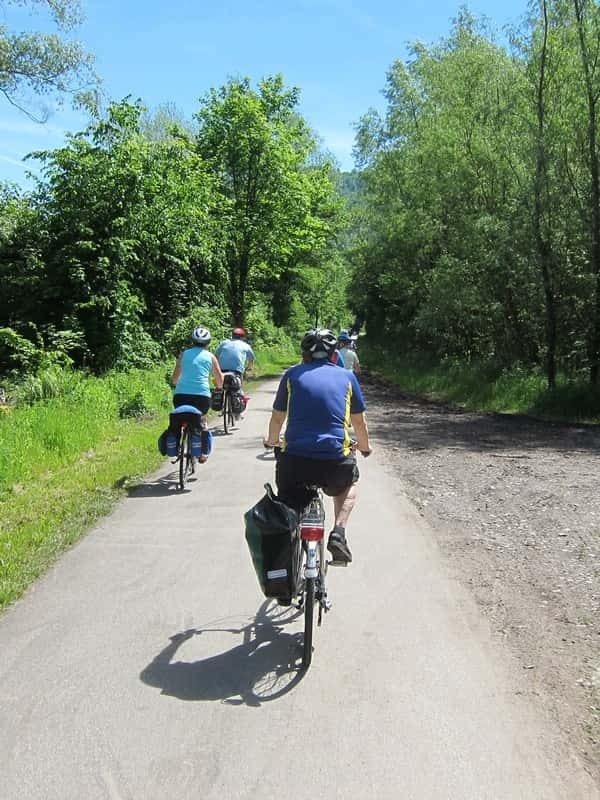 To help take the strain, we offer the option of electric bikes on certain group and self-guided cycling trips. E-bikes assist you when it gets tough; especially on uphill sections or longer rides. This allows you to conserve your energy for later, and makes the experience much more enjoyable if you don’t like uphill. You can then throw yourself into the easier sections and the battery will recharge while you are using your own pedal power. They are a great leveller and enable couple or friends with different abilities to do the same ride. Just enquire at time of booking. Don’t worry – it isn’t a race, it is an active holiday. Just have a look at the daily distances so you choose the trip that has the level of activity that you want. Wherever possible you will have the freedom to ride at your own pace, regularly regrouping for rest stops or to visit local sites. Is a Group trip for me? With a group cycling trip you can enjoy getting to know others and enjoy experiences together but you can still retain your independence. For example, you can choose to have meals with others in your group or not – the choice is yours. It isn’t a race and there is no pressure to cycle with the whole group; often you can go alongside others travelling at your pace. We make regular stops to refuel and there are plenty of opportunities to take photos and chat with locals. Often Explore holidaymakers tell us they have had the best of times because they went in a group with like-minded people who have become good friends. What does the Explore Leader do? One of our trusty Explore tour leaders, who will speak the local language and know the area, will look after you throughout your trip, to ensure it goes smoothly. They check that everyone has a chance to rest and no-one gets left behind, allowing you to cycle at your own pace wherever possible. They are there to help with any problems, enable interaction with the locals and provide background information to help you learn more about the places you are visiting. What happens to my luggage? We transport your luggage from hotel to hotel, so you just carry enough for the day and are free to enjoy the cycling.